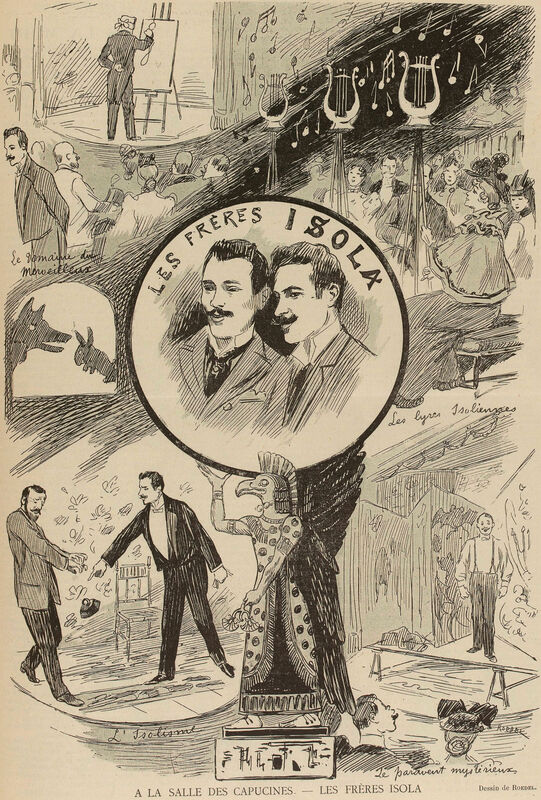 The Isola Brothers, French conjurers. From Le Courrier Français, 1894. From Games of Skill and Conjuring, 1865. 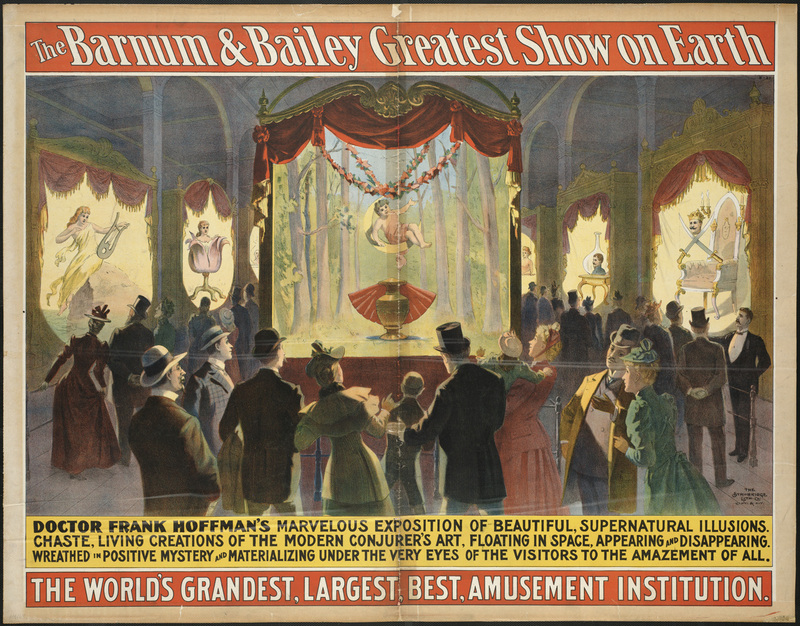 "Doctor Frank Hoffman's marvelous exposition of beautiful, supernatural illusions. Chaste, living creations of the modern conjurer's art, floating in space, appearing and disappearing. 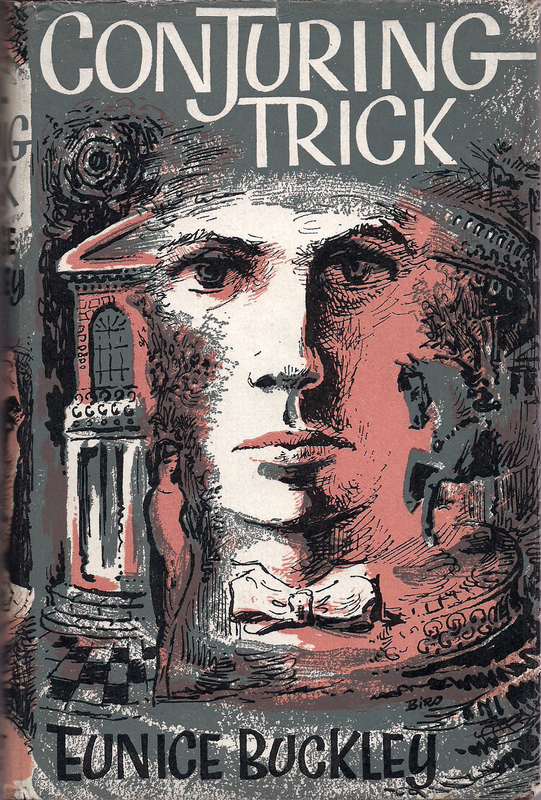 Wreathed in positive mystery and materializing under the very eyes of the visitors to the amazement of all." 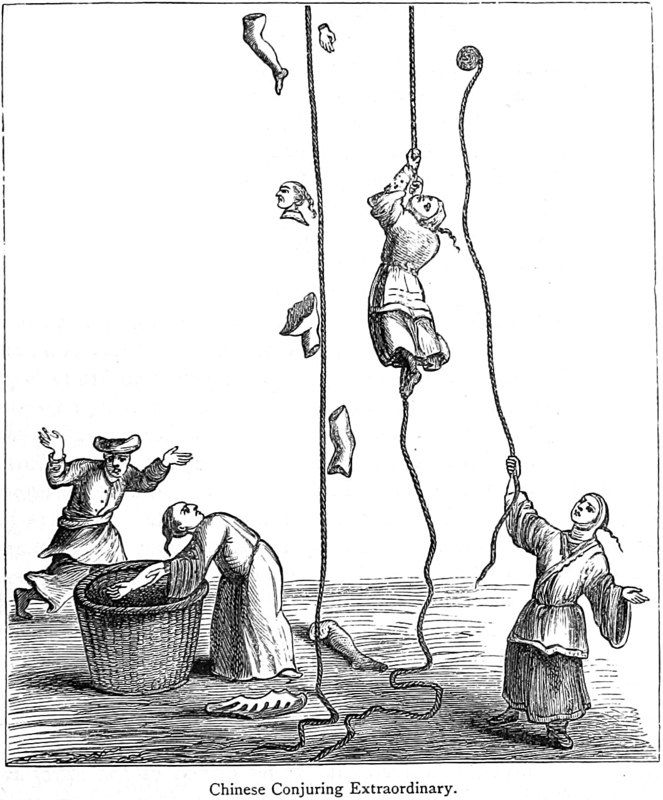 "Chinese conjuring extraordinary," from The Book of Ser Marco Polo, the Venetian, Concerning the Kingdoms and Marvels of the East, translated by Henry Yule, 1875. An illustration from an 1892 issue of Century Illustrated magazine. The caption reads: "Conjuring back the buffalo."